She was born on 20 December 1997 in Egypt. Is an Sudanese model. She is Egyptian-born famous American fashion model of Sudanese descent. Anok family moved to United States from Egypt when she was 2. 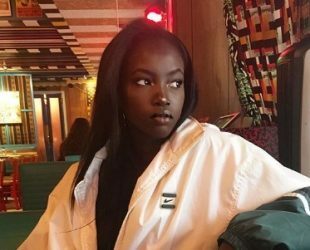 Anok was discovered by a prfessional photographer in 2017 during Howard University’s homecoming celebration in Washington D.C.
She attended Plymouth State University to become a doctor. She was posting her photos on istagram before fame. Her mother nurse, father Easterseals volunteers.